This project for a development in Central London, had a number of audiences we had to talk to – all interested for different reasons. This example shows how we showed the scheme to passers by and local residents. 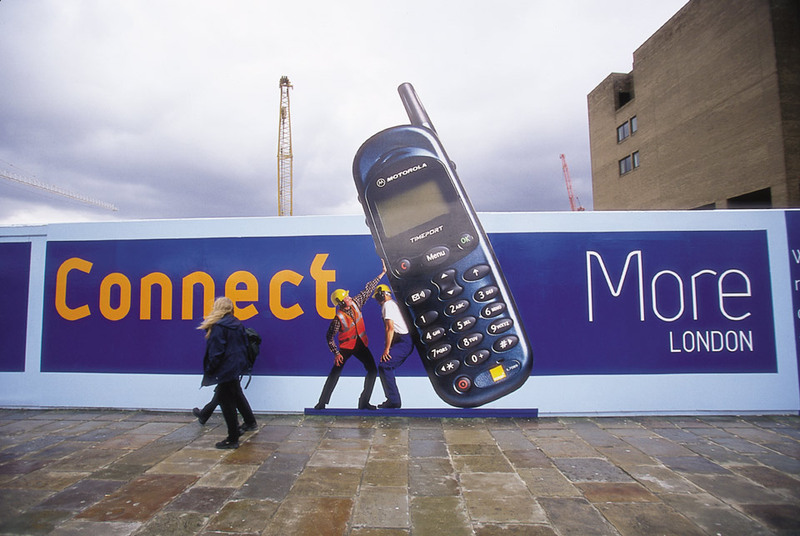 To use the hording surrounding the site to inform viewers about More London and its facilities. Local residents who may wonder about the new office complex being built and what it may bring to the area. They would like to know the progress and what, if any, of its facilities could be useful to them. I get a good idea of what is being built and how long it’s going to take. I see there may be some shops or cafes which will benefit the area and I might even consider joining the gym there. We are proud of what we are building. We used the word ‘More’ from the development’s name as the theme running through the marketing materials. We used this on the hording (Connect More, Order More, Lick More etc. ) but added some humour and oversized imagery for effect. The hording could also be seen from the other side of the Thames. The client liked the idea so much that they asked us to apply it to London taxis.